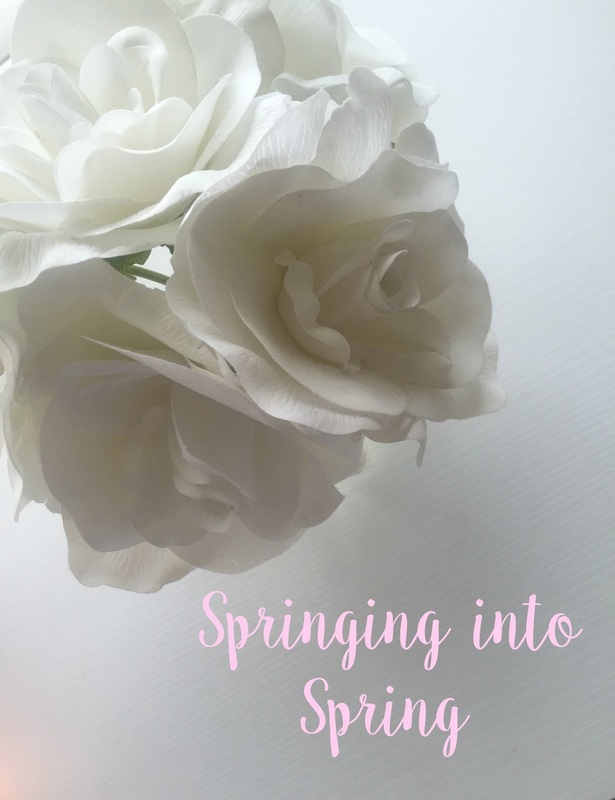 Spring will be here in less than a week (although it feels like it's already here in Texas), and I couldn't be more excited! I'm ready for pretty flowers, pastel prints, pool days, and all the chocolate I'm going to eat on Easter. The transition of winter time to spring brings with it a plethora of changes. For one, it's time to put away the leggings and riding boots and move on to cute high waisted shorts, crop tops, and strappy sandals. Nail polish colors go from a dark vampy maroon to mint green and lavender. Those are just a couple examples out of many of the different things that I'm looking forward to this coming season. So, in celebration of spring, I thought I would share my spring essentials with y'all! Pastel nail colors, clothing, and accessories are some of the things I look forward to come spring time. They are so fun and can brighten up outfits in an elegant way. White is another great color choice to bring out after the winter season ends. It matches virtually anything, which makes putting together outfits that much easier. A bright coral or peach toned blush adds lively color to the cheeks and creates a gorgeous spring time glow. Pink-toned nudes and cotton candy pink lipsticks are lovely choices for a soft and simple makeup look. I absolutely love adding gold touches to my outfits this time of year, especially when I have a bit of a tan. Gladiator style sandals are really popular right now, and I love the ones I posted above that are in a gold metallic finish. Gold midi rings are also one of my favorite accessories. They are the perfect addition to any outfit. Neutral toned sunglasses and purses with a touch of gold are also on my must-have list for this season. When it comes to fragrances, I tend to wear warmer scents in the fall and winter, and fresh, floral scents in the spring and summer. Marc Jacobs Daisy perfume would be a perfect spring fragrance. It is light, fresh, floral, and feminine. In the more miscellaneous category, a camera is good to have in any season; but, this adorable pink pastel colored Fuji Instax Mini 8 would be so fun to use this time of year to capture memories. Lastly, body butter is definitely an essential when the weather warms up and especially after a day in the pool or on the beach. Soap and Glory makes incredible body butters that are sure to leave your skin hydrated and smelling amazing. Stay tuned for most posts soon!